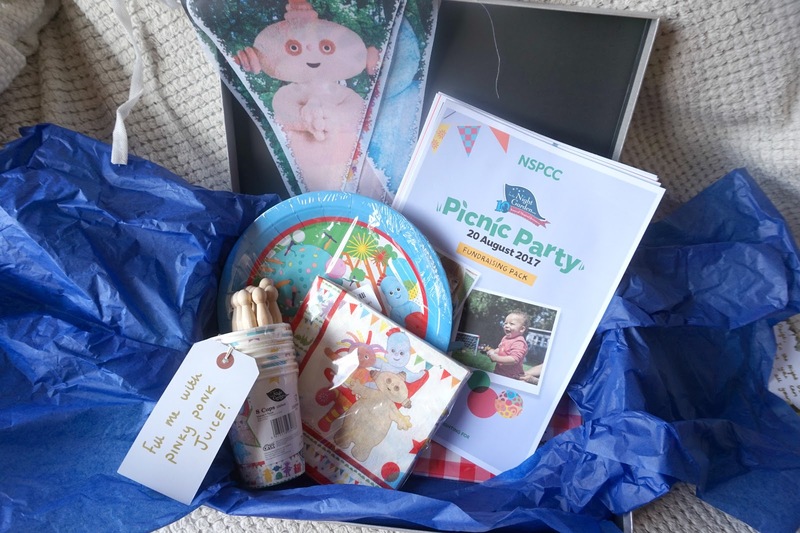 Hello lovelies, so if you wasn't aware NSPCC have a fun themed In the night garden picnic fundraising day planned, for the 20th August! You can set up your own fundraising page or event on that day to help raise money for a great cause, I signed up and here is my just giving page if you would love to help and donate. Or if you're free on that date why not sign up and host your own picnic? There are 5 charities close to my heart for personal reasons and NSPCC is one I've always had in my heart as some of you may know I was abused as a child and never knew about the amazing support networks out there, I didn't have any one to talk to at all I had this horrible 'secret' for several years all to myself and think that its amazing that there is so much more these days. NSPCC have a great supportive network for children and I would love to help them raise money because childrens lives matter. 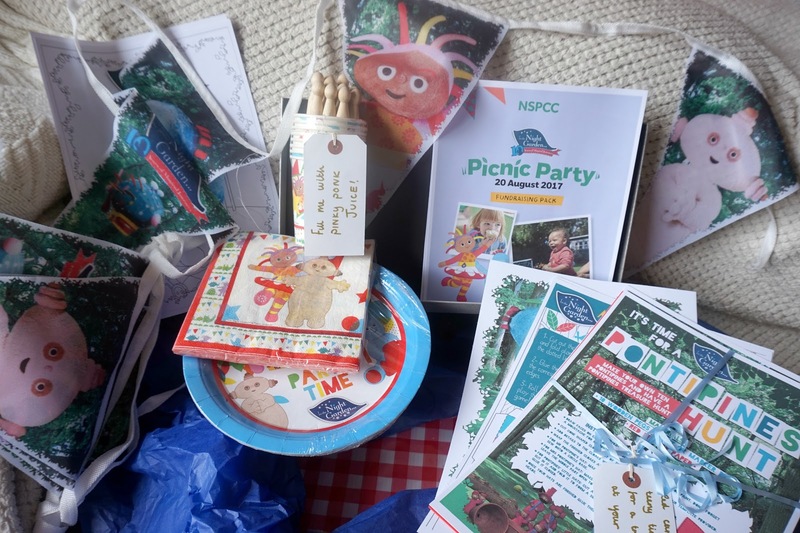 I was very kindly sent a cute box of In the night garden picnic goodies to get the party ready for the end of August! 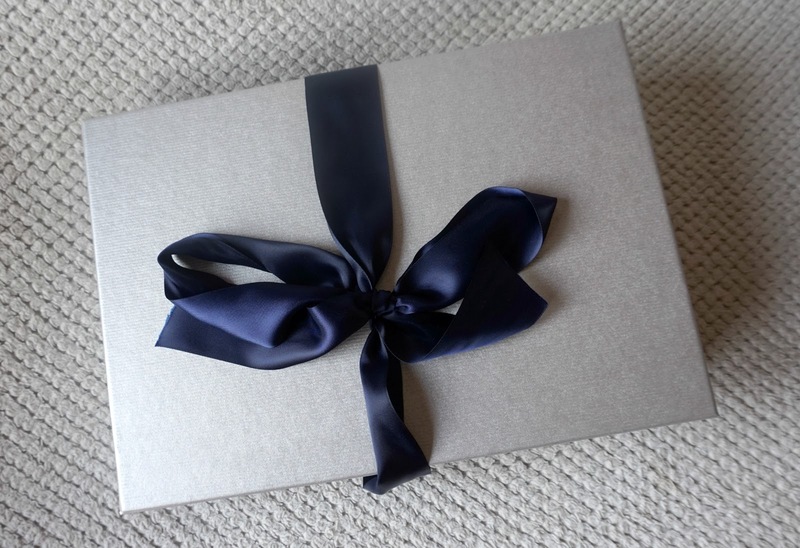 I'm planning my own cute little picnic in the garden, I've invited friends with their little ones and I'm going to have little party games and activities surrounded around the garden, hoping the weather is on our side and people show up! If not party for 3, more cake though hey? But most importantly hoping people are very kind and willing to donate. How adorable is everything I got sent? Lawson loves in the night garden so after the picnic has been and gone I can pop up the super cute In the night garden bunting in his playroom. We have lots of things to make and ideas and games to play, it's going to be so much fun. Thank you NSPCC and if you want to get the ball rolling my just giving page is here. 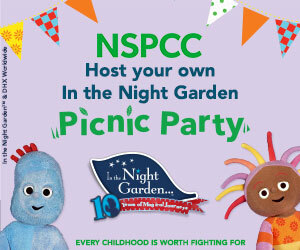 If you want to find out more about this In the night garden picnic check out the NSPCC homepage. aw this is such a lovely idea! 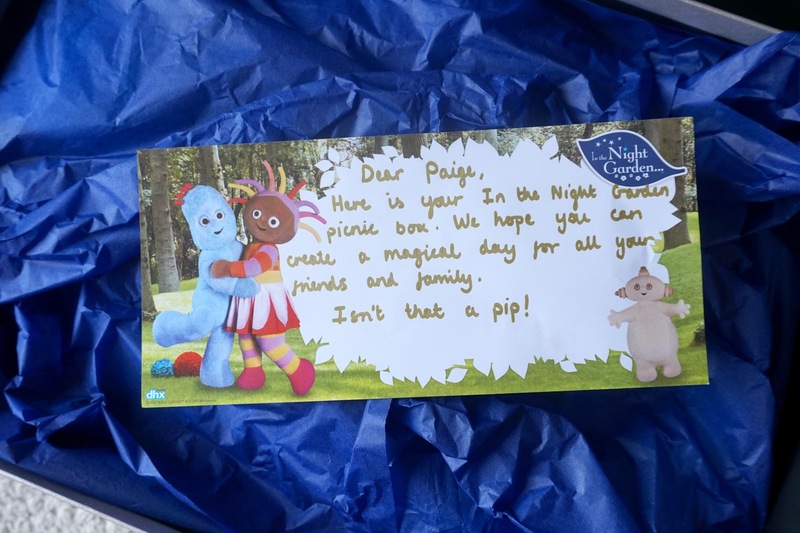 the nspcc do some incredible work and this fundraiser looks so, so sweet. really hoping it goes well for you, all the best for the 20th, girl!